No, it isn't Arial. 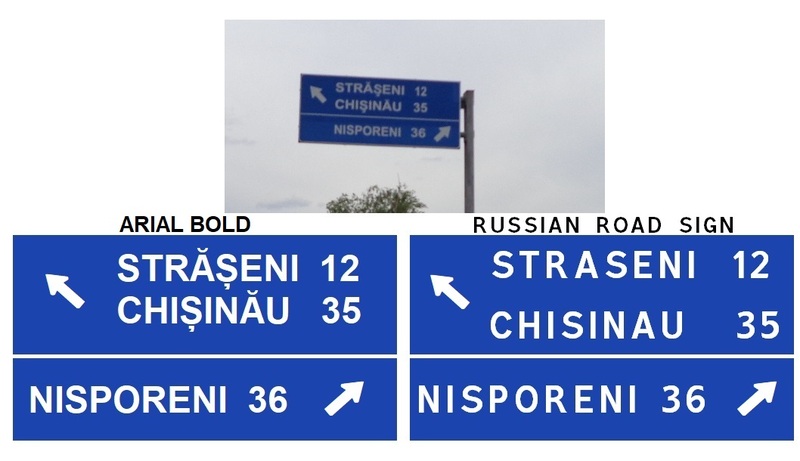 Thats an own font for Russian road signs. I have the font installed, which also includes the cyrillic alphabet (https://www.dropbox.com/s/zt1ag8eddgoev ... m.otf?dl=0), but I do not know if the license allows to use it in projects like ProMods! Yes, I know there is a specifically Russian signs font used in almost all the ex-soviet countries, which is used on the signs in first 4 photos I linked. But in the last photo I linked I said that it seems to be another font (like Arial, which I know it's used sometimes in Moldova). Or maybe I could be wrong and it could be the same Russian font but bold. So I don't know if it's really Arial. And another thing: even if Promods could use the Russian font given by you, for Moldova it is almost useless because it doesn't have the special characters of Romanian/Moldovan language (Ă, Î, Â, Ș, Ț). Yes, that's right, Estonia uses Arial, too, in combination with Helvetica. 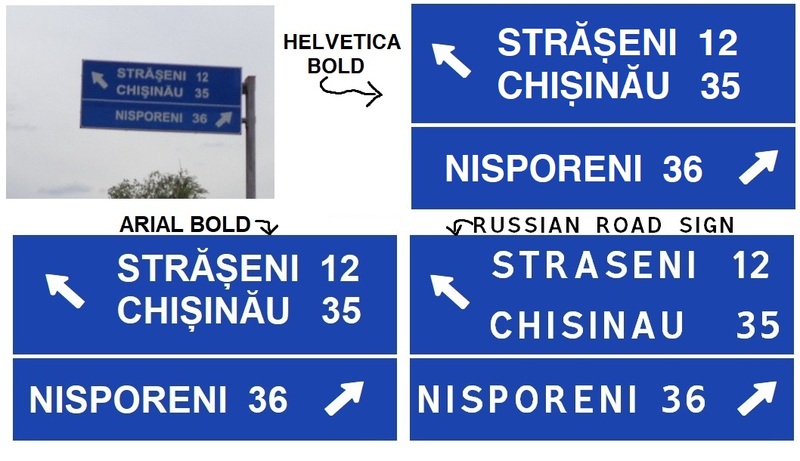 And Wikipedia says that in Moldova (besides the Russian signs font) is the same situation: Arial+ Helvetica. I've added to my remake of that Moldovan sign the Helvetica Bold font, too. But I still think it is Arial Bold or something else. I copied the lettres in Word and used the Russian Road Sign Font and it works fine. So maybe it is not this useless how you thought? Oh, my mistake then. I said that this font is almost useless for Moldova because when I made those remakes of the sign (in MS Paint) I tried to write the Ă, Î, Â, Ș, Ț characters with this font using Romanian keyboard layout, and it did not work, they were not recognized by the font. But now I looked on the Character map and, yes, you are right, the font has them. well, I don't know...but now let's go back to the topic! You are right, when you said that the font on the sign is something like Helvetica bold. And I would agree with that, but I saw, that the font on the sign had an other "R" lettre than the actual Helvetica font. Maybe someone could change these nice little font-differneces? Actually it does have it. But it only works if you choose the legacy romanian language keyboard on your pc, from the control panel. The legacy, not the current one!